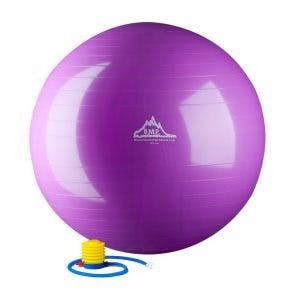 This is our list of the best home exercise equipment for stroke patients. If you’re trying to improve movement while rehabbing from home, these stroke rehab products are for you. Before we dig in, let’s discuss why we consider these tools some of the best. Massed practice refers to the high repetition necessary to rewire the brain. Repetition helps activate neuroplasticity, which is the mechanism that your brain uses to rewire itself. The more your brain rewires itself, the more muscle control you will develop. Activating neuroplasticity is how you will see long-term results that stick. High repetition with good form should always be your focus, and the following rehab tools can help. We’ve arranged the list by body part, starting with legs. 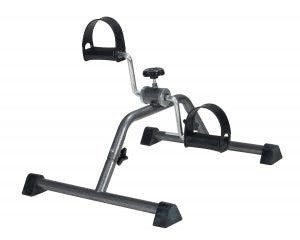 Leg bikes are a great option for some bilateral training and strengthening. Be careful though because the cheaper bikes are often more difficult to pedal. 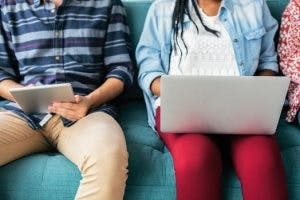 There are some in the $10-20 price range, but you’ll get what you pay for. Other high-end cycles might be worth the splurge. To improve strength in your affected leg, you can purchase some ankle weights to provide added resistance. 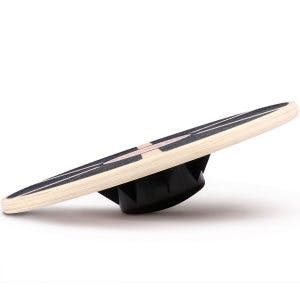 Balance boards are excellent for training the legs and core to improve full-body coordination. They essentially act like tops that you stand on. Be sure to use unstable equipment like this in the presence of a caregiver! It can be very easy to fall off a balance board. Never use them alone! 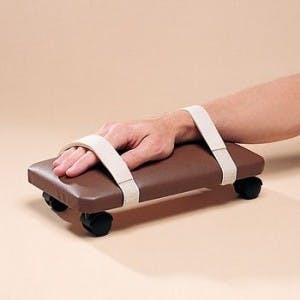 It can be tough to find good stroke rehab equipment for arm recovery. Below we listed the affordable options. There’s also premium arm exercise equipment at the end of this list. Pro tip: You can use the leg bike featured above to exercise your arms by simply placing it on the table instead of the floor! This helps you exercise two muscle groups for the price of one! If you have restricted range of motion in your affected arm, then an arm skate can help introduce more movement into your arm. Arm skates are designed more for flexibility training than strength training. To increase strength in your affected arm, dumbbells and wrist weights are excellent, simple options. Often, hand function is the slowest side effect to recover after stroke. 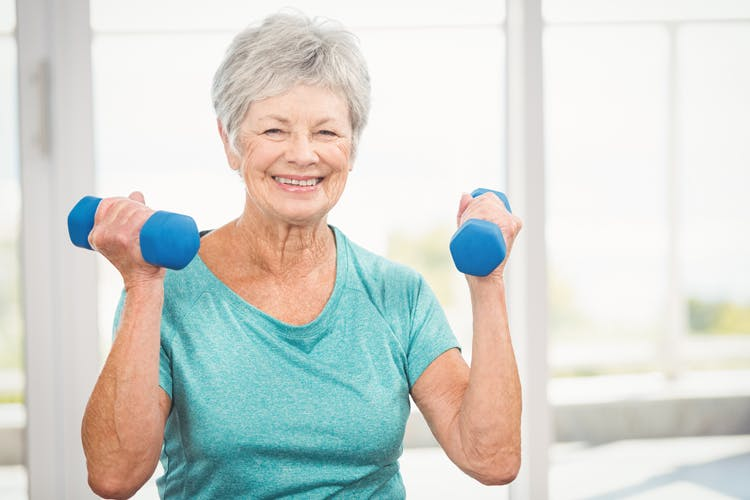 Luckily, investing in hand exercise equipment can help speed the process along. 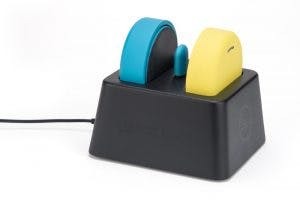 Therapy putty is another popular hand therapy tool that can help improve fine motor coordination. You’ll experience the most improvement when you intentionally perform therapy putty exercises with the tool; but simply squishing the putty with your affected hand can help improve range of motion. Hand exercise balls are an inexpensive and popular form of hand therapy after stroke. 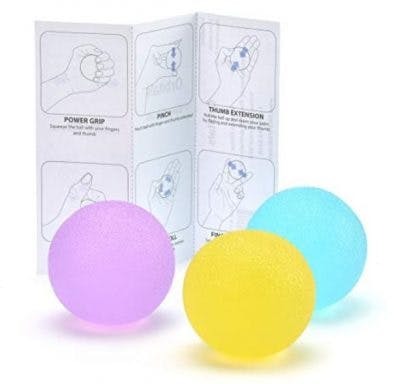 You can use them to follow along to therapeutic hand therapy ball exercises. There are more hand equipment options listed in the premium equipment section at the end of this list. Aphasia is a condition that affects speech after stroke. Constant Therapy is an application for Apple and Android devices that contains different games designed to improve aphasia. Some exercises will ask you to identify pictures or make sounds, for example. The app will pick exercises for you based on the stroke side effects that you’re trying to improve, like memory or talking. We like this app because it encourages lots of repetition, and you can do your therapy anywhere since it’s available on your phone or tablet. Lingraphica is another app for aphasia that’s backed by research – but this one is reimbursable through Medicare. When it comes to stroke rehabilitation equipment, you often get what you pay for. If you have the budget, it’s great to invest in high-tech devices that can help speed your recovery along. 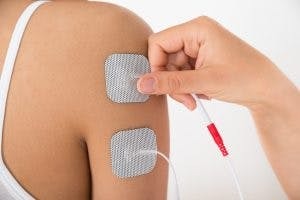 If you have severe muscle weakness or paralysis, then electrical stimulation can help introduce movement into your body. It works by attaching electrodes to your skin, and then the machine provides electrical stimulation that makes your muscles contract. Electrical stimulation can be very effective, especially when you combine it with rehab exercise. MusicGlove is a music- and gaming-based hand therapy device that helps you accomplish 750+ reps in just 30 minutes! This massed practice is why MusicGlove is clinically proven to improve hand function in 2 weeks. If you want to speed up hand recovery after stroke, MusicGlove could be a great investment. 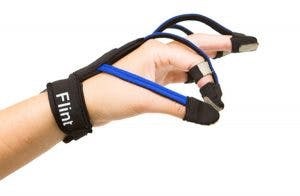 Flint Rehab’s FitMi home therapy device is an excellent full-body physical therapy tool for stroke patients. FitMi helps you achieve 12x more repetition than traditional rehab. Since massed practice is considered the best treatment for stroke, FitMi helps patients recover mobility faster than other traditional methods. It’s also great for overcoming post-stroke paralysis. You can read a success story of how a stroke patient overcame arm paralysis after 3 weeks of using FitMi. Stories like those are the reason why premium therapy equipment can really pay off.